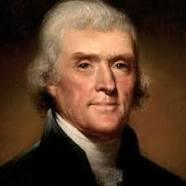 Thomas Jefferson - "We in America do not have government by the majority. We have government by the majority who participate... All tyranny needs to gain a foothold is for people of good conscience to remain silent"
James Madison - "A well-instructed people alone can be permanently a free people." Dietrich Bonhoeffer - "The ultimate test of a moral society is the kind of world that it leaves to its children." "Do we know who our elected officials are?" "Do they know who we are?" And if they do know us, is it as a friend, especially if they are pro-life. This takes time and oftentimes some money but being involved is indispensable. Where do my state and federal legislatures stand on the issues?